Getting a 3 year old to eat vegetables is sort of like trying to put on Spanx AFTER the wedding buffet. It’s not pretty. Of course that doesn’t stop me from trying. I have hidden veggies in his spaghetti sauce, tried every dip known to man (not really but it sounds dramatic right?) and all but tied him to his chair to get him to take just ONE bite. The thing is, kids have control over what they eat. They really do. And I am not going to create a battle over food. All I can do is keep trying and hoping that he will one day be curious enough to broaden his little horizons beyond peanut butter and jelly with a heaping side of peanut butter and jelly. At this point, my job is to get the veggies on his plate. After that, it’s up to him. So, now that we have that all figured out, I am looking for ways to make my job a little bit more interesting. The Clare Crespo Cookbook for Country Crock is a free online resource with tons of cute idea for making regular ol veggies a little bit more appealing to the discerning eye of a preschooler. Some of her ideas are more ambitious than others, but all of them are sure to at least spark a little smile, if not a full on appreciation for a new food. 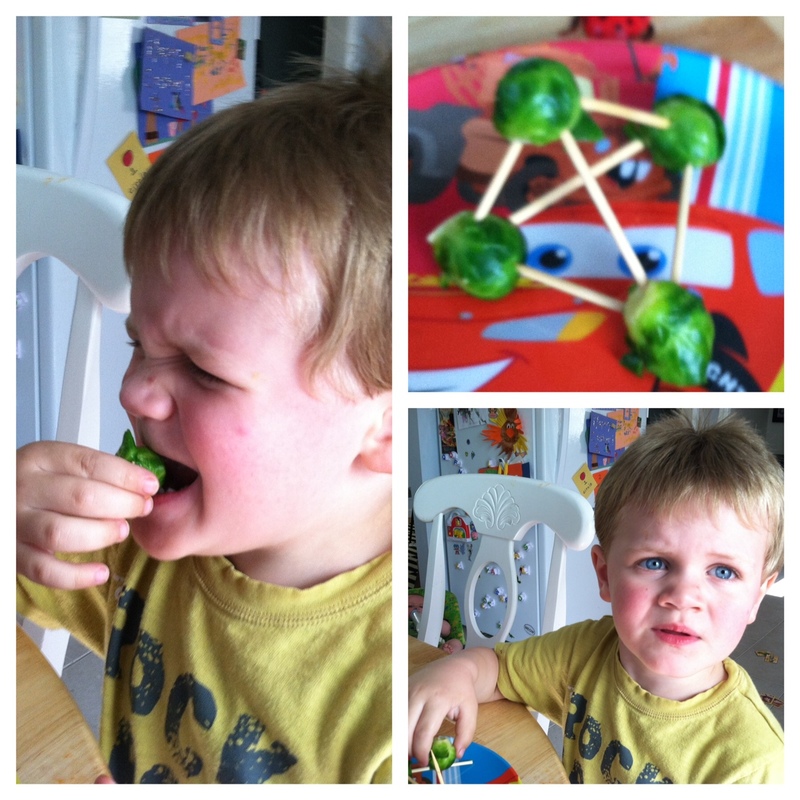 I decided to try the Molecular Model Brussels Sprouts because my husband and I love Brussels Sprouts so anything Oscar shuns won’t go to waste and because I thought he would really dig making the models. My theory is that in this case, it’s ok to play with his food, to take some of the mystery out of it and just see what happens. Oscar is still holding strong on his anti-veggie stance. However, I am calling this experiment a success because this may be the closest a Brussel Sprout has ever been to his mouth. Read on for the how-to! 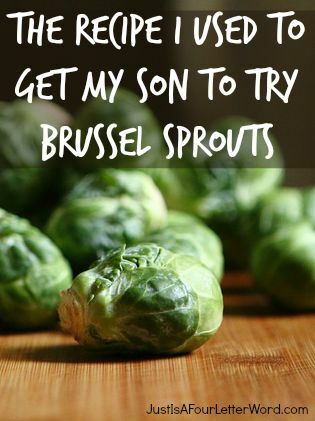 Cut off the brown ends of the Brussels sprouts and pull off any yellow leaves. Put them on a rimmed baking sheet and drizzle with Country Crock® Spread. Sprinkle with salt and pepper. Toss to coat. Roast for 20-25 minutes, stirring occasionally, until crisp on the outside and tender on the inside. Remove from oven, let cool slightly for easier handling. Connect a few together using toothpicks or skewers to resemble molecular models. So cute! Disclosure: This post is sponsored on behalf of Country Crock and the Clever Girls Collective. All opinions shared are solely my own. LOL! That picture of him tasting the sprout is priceless! Love it!